"Campus Pond, Night, 2017" looking towards the Fine Art Center. The fountains are a nice touch to the campus pond, however they still aren't producing enough movement to combat the algae build-up, which has filled in the entire back section of the pond. This is a panorama stitched from 5 vertical images taken with a Tamron 150-600mm (at 150mm) zoom I borrowed at the conference. The title of this blog post comes from the Pixies song "U-Mass", which incidentally, I was first introduced to when I was a freshman at UMass on a spring break caving trip to WV. 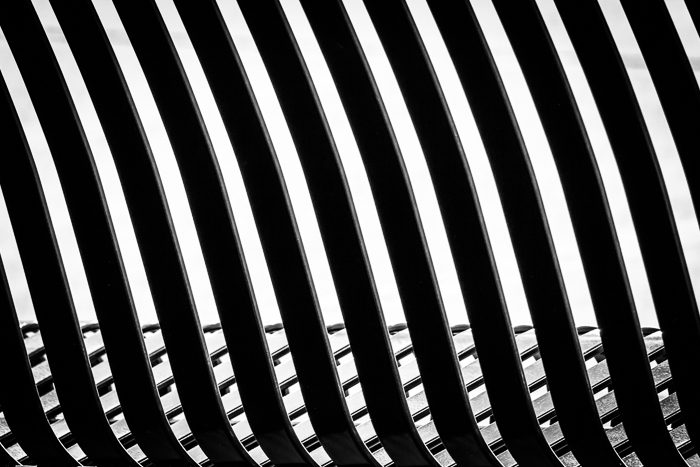 I just returned from the annual New England Camera Club Conference (NECCC) which is held at my alma mater. It was interesting to see all the changes that have occurred to the campus in the last ten years (I returned for grad school and defended my PhD in 2007). "Water You Doing?" This wall near the Central Residential Area is open for "free expression" by the campus community, which I thought was a neat idea. They just repaint the wall periodically and start fresh. 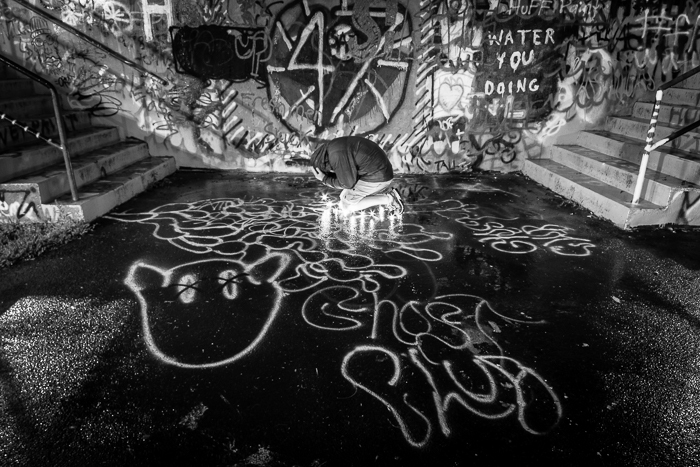 The jumble of graffiti suggested to me the sometimes overwhelming nature and emotions of this time and the transition to "the real world" after college, hence the pose. 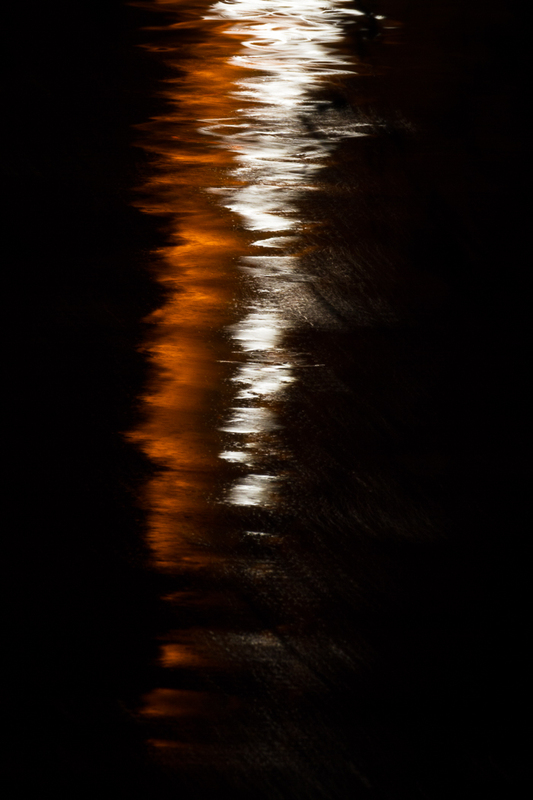 While attending talks on various photography subjects and attending a workshop on fine art printing, I was able to spend two nights doing some night photography with my friend Peter Nagy from the Color Camera Club of Westchester (where I live now in NY). "Obelisk Transmitting" I've been told this sculpture in Durfee Garden is an Andrew Goldsworthy, but I'm not so sure and I've been unable to confirm online. If anyone knows for sure the artist, please comment below. This setting provided an excuse to do some more "hard-core" light painting using a string of LEDs on stretched out copper wire. Many thanks to Peter with the execution. It would have been impossible without his help. This one brings out the sci-fi geek in me. 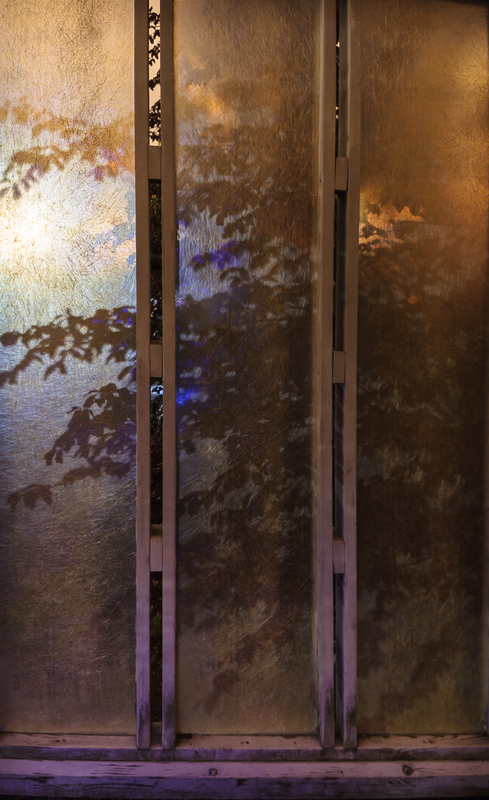 "Screened" The rice paper-like screens in Durfee Garden are even more beautiful at night when they pick up subtle colors from the different light sources around campus and contain the projections of shadow vegetation. 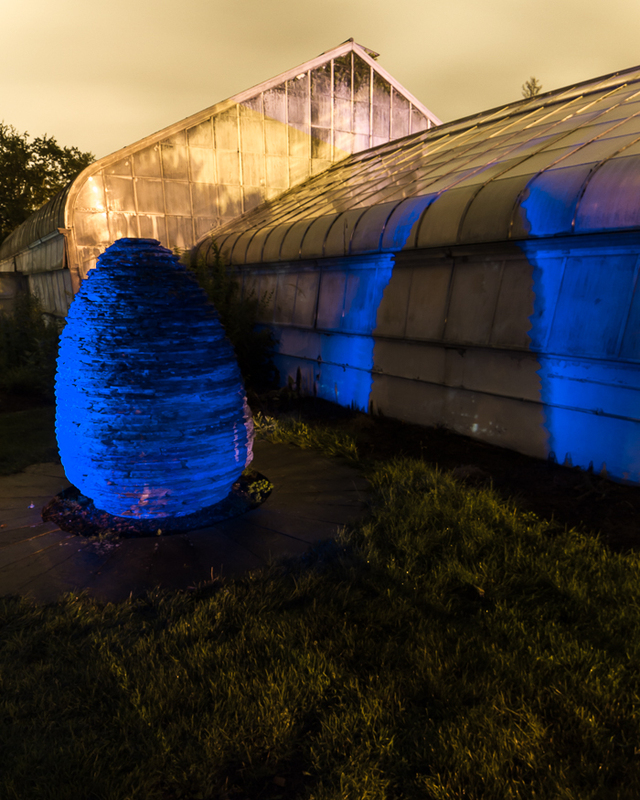 "The Egg And The Greenhouse" I can't decide if I like the over-splash of blue light on the greenhouse in this one, or if I want to mask it out using a separate frame I got without the blue light. I really like the texture and color on the old conservatory though. One area we spent a bunch of time in on the first night was Durfee Gardens near the Durfee Conservatory. During my undergrad, time managing a lab, and my graduate degree, Durfee was a welcome refuge and stress-relief for me. If you get a chance, it is well worth a visit. The conservatory has a fabulous orchid room and a tropical room complete with water features and benches. 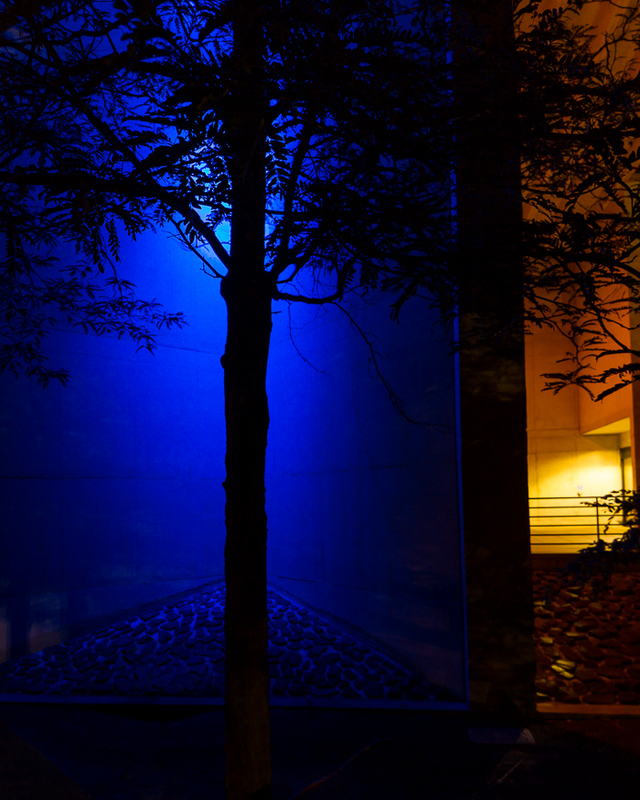 "Occulus" The new stairway and landscaping between the two Morrill Science Center buildings is gorgeous and includes this great sculpture which is further enhanced by the shadows and sodium vapor lighting present at night. I have to admit, I was pretty pleased with the changes to the infrastructure I saw while I was there. The new buildings are beautiful and environmentally friendly. The landscaping has improved by leaps and bounds. Other environmental and artistic initiatives are in evidence everywhere. The food services are also incredible! I've been very critical of the UMass administration in the past, but it seems like they've been getting a lot of things right in past few years. I don't have enough info to judge how the academic program is going, although I like what I hear about the new honors college as well. 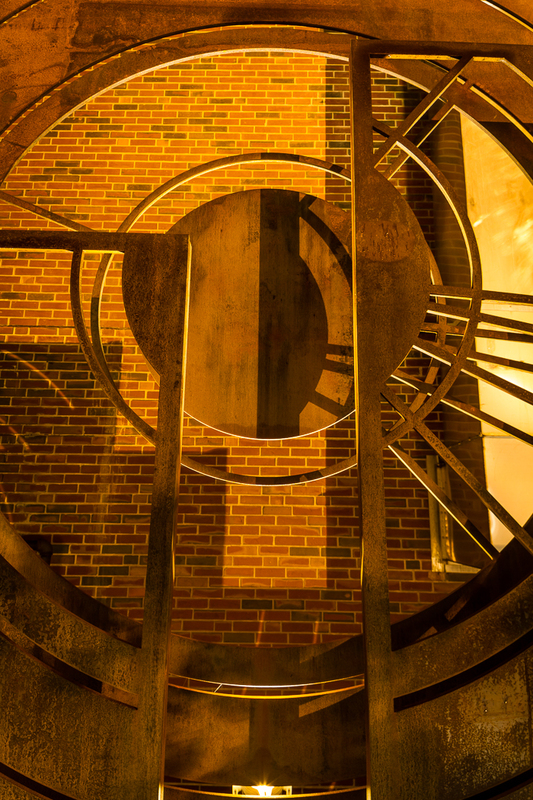 "Design At Rest" This abstract comes courtesy of the new benches between the Learning Center and the Student Union. 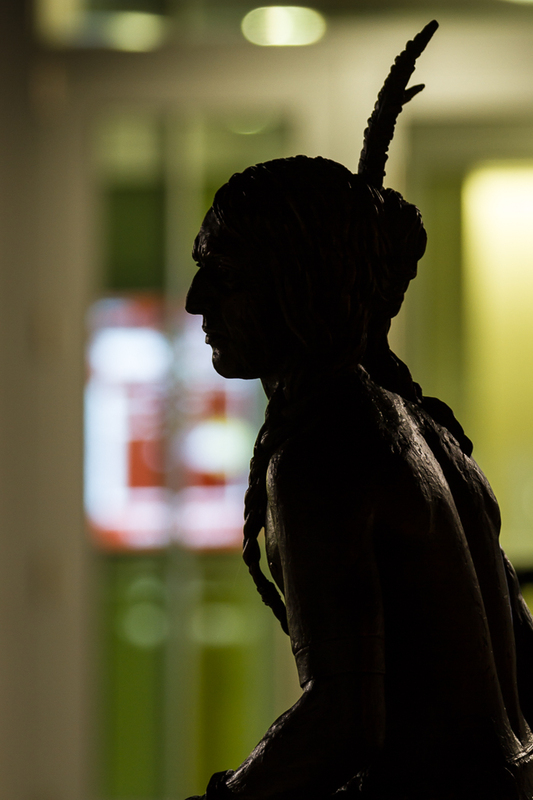 "History And Technology" Metawampe sculpture juxtaposed against the large flat screen displays in the new Learning Center. "Campus Pond Reflections" Lights reflect in the disturbed surface of the campus pond. 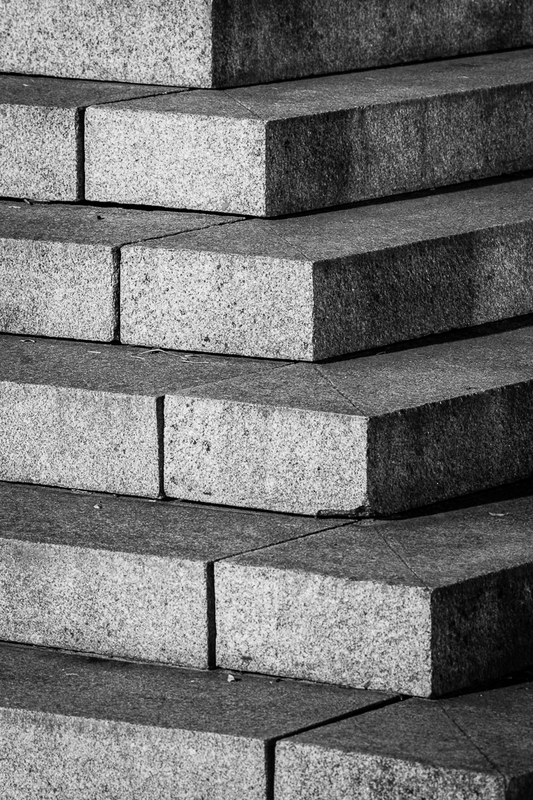 "Campus Center Steps Number One" The steps of the Campus Center terrace provide ample opportunities for geometric abstracts. 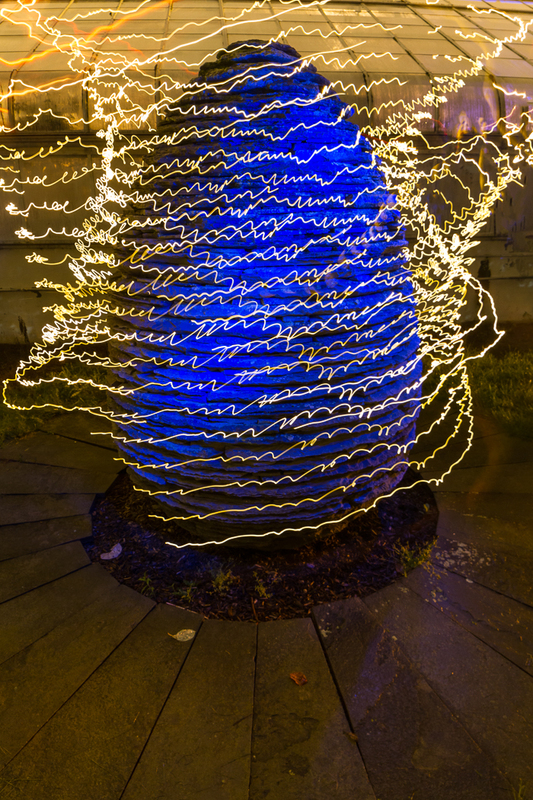 "Cold And Warm" The Fine Arts Center did my light painting for me with this juxtaposition of the blue lit alcove and the warm sodium vapor lights. I was packed up and on my way to the car, but I just had to photograph this scene with my new Rokinon 14mm lens. 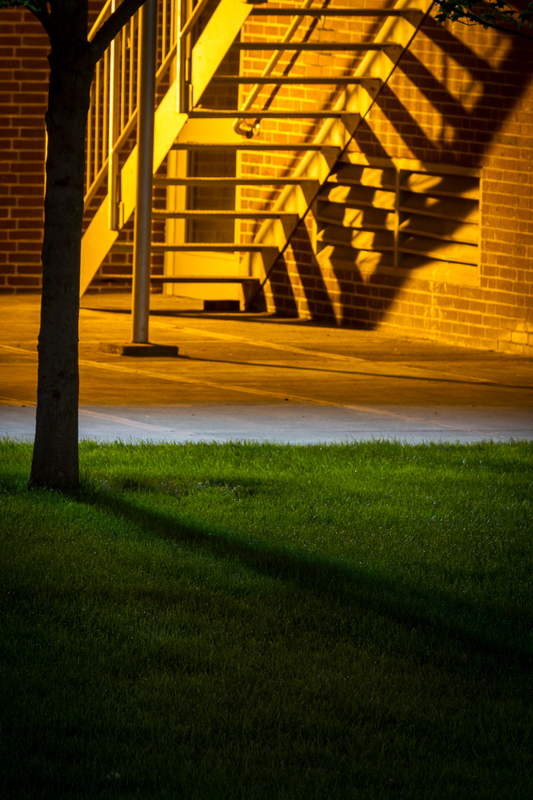 "Shadow Play" The interplay of light, shadow, and color attracted me to this composition of the back of the Student Union building. 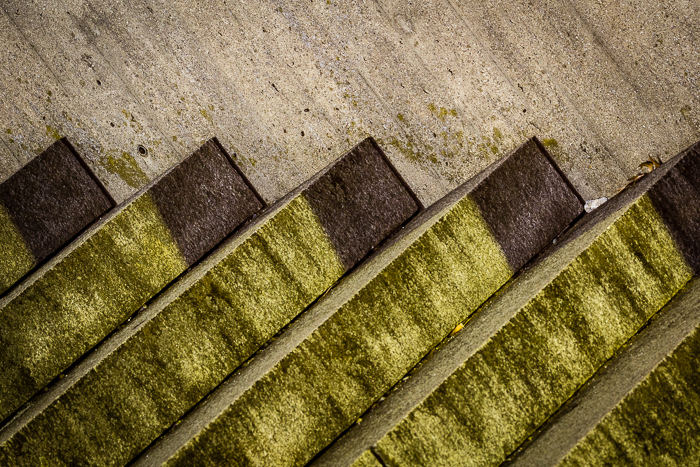 "Campus Center Steps Number Two" I have a soft spot for the texture and geometry of stone work. The second night we photographed, the wide-angle view just wasn't doing it for me. So I switched to a Tamron 150-600mm zoom that I borrowed at the conference and shot mostly isolations for the remainder of the evening. That change of perspective got the sleep-deprived creative juices flowing again and I made some compositions I was really happy with. Particularly, this next photograph is I think possibly my favorite image of the trip. "Bi-Cycle" This bike was parked outside the entrance to the Campus Center. Possibly my most favorite image of the trip. I love the almost, but not quite, symmetry of this image and the nostalgic effect of the warm sodium vapor lighting. Even the weeds coming through the crack at the junction of the wheel and it's shadow are perfect. 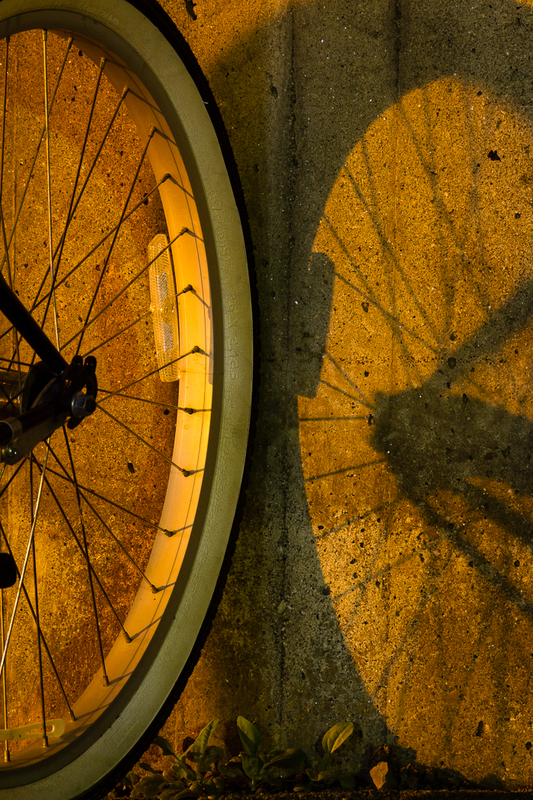 Although the bike is modern, the isolation and lighting make this image somewhat timeless. Finally, I'll leave you with one more image from Durfee Gardens. My next post will be back to nature with some images I took at Hawley Bog during the conference. Orchids and carnivorous plants, oh my! 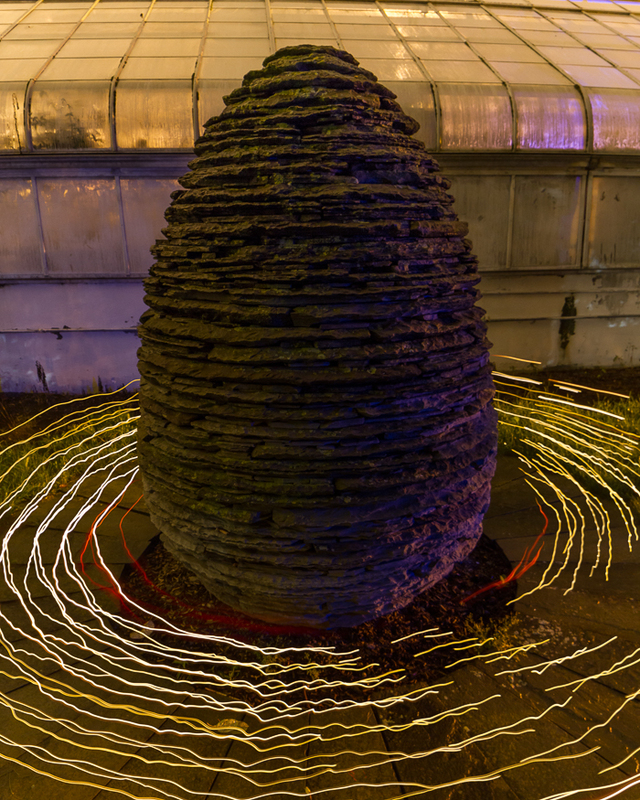 "Zen" A different light painting interpretation of the egg sculpture outside of Durfee Conservatory.